Three performers negotiate a number of proposals posed in the score in order to define common departure points and margins to maneuver within. Performing the work, each performer individually follows a path of graphical instructions. A number of synchronization points are defined. 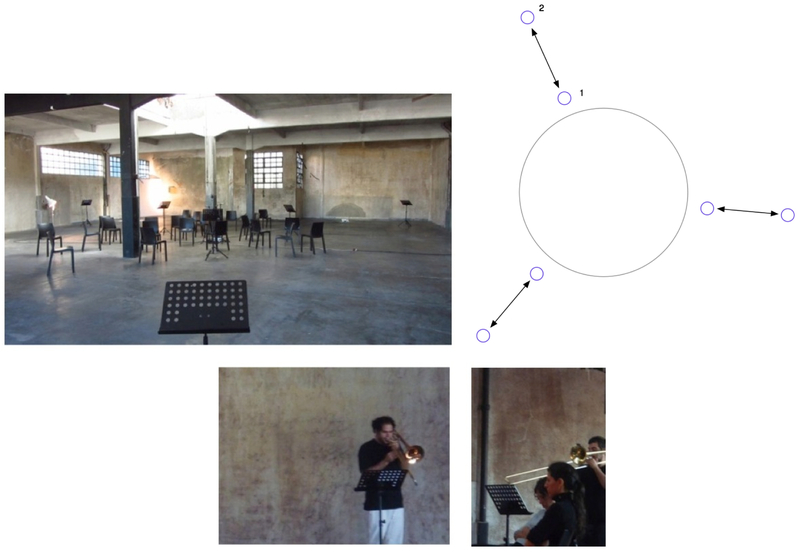 Freely progressing through the score, they create both an incidental and structural meeting of sound, movement and tactics between the three of them.